Each year the Foundation partners with the National Organization to invest in educational and leadership programming. 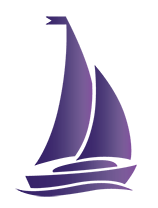 These grants support programs that have the potential to impact the lives of each and every member of Tri Sigma. The Foundation is able to invest in this programming, because of the generosity of Tri Sigma sisters. In 2015-16 the grants totaled $100,000, which is less than 25% of the National Organization’s request, due to our available resources. The generosity of our donors can change that, and we’ll continue our work until financial resources are no longer a barrier to fully funding their annual grant request. Collegiate Chapter Presidents joined together for the first annual President’s Academy January 5th-8th in Dulles, VA to learn and lead using the values of Tri Sigma as their guide. Participants had the opportunity to network with sisters from every collegiate chapter as well as alumnae who will coach them to success in their chapter role. Chapter Presidents develop valuable leadership skills, learn to harness their strengths, and gain confidence to guide their chapter through change while addressing current issues relevant to collegiate women. This program continues our long standing tradition of unifying our leaders under the mission, vision, and values of our sisterhood while providing an exceptional experience that will leave each participant, each sister, each President, empowered. Previously Officer Academy lead our initiative in leadership development for newly elected officers to learn to lead using the values of Tri Sigma as their guide. The program focused more about skill development for women leaders than position training. 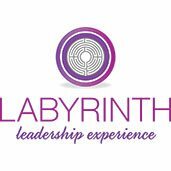 This Institute focuses on the education of our newer members and is designed to empower emerging leaders to lead with character. Each chapter is encouraged to send at least one member to the Institute, to act as a positive change agent within their communities. 63% OF WOMEN THAT ATTENDED THE 2012 DUNHAM WOMEN OF CHARACTER INSTITUTE WERE APPOINTED INTO AN OFFICER OR CHAIR POSITIONS THE FOLLOWING YEAR. 100% of students agreed attending the Dunham Women of Character Institute strengthened their personal commitment to being a woman of character. 94.9% of students agreed attending the Dunham Women of Character Institute helped them understand components of developing an outstanding resume. 98.3% of students agreed attending the Dunham Women of Character Institute strengthened their commitment to Tri Sigma and their chapter. 100% felt they had a better understanding of Tri Sigma’s core values and how they relate to their life. 83.3% strongly agreed and 16.7% agreed that they recognize the impact they can have on our world and how they can contribute to their communities. 100% have a renewed love and passion for Tri Sigma and my lifelong commitment. 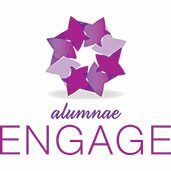 Alumnae & Volunteer Engage develops the skills of Chapter Advisory Boards and national volunteers to continually prepare them lead and guide Tri Sigma.